The Guyana Teachers’ Union on Monday circulated a letter to its members, informing them that they are not to report for pre-term activities until further notice. This signals the start of its strike action following failed talks between Government and the union. 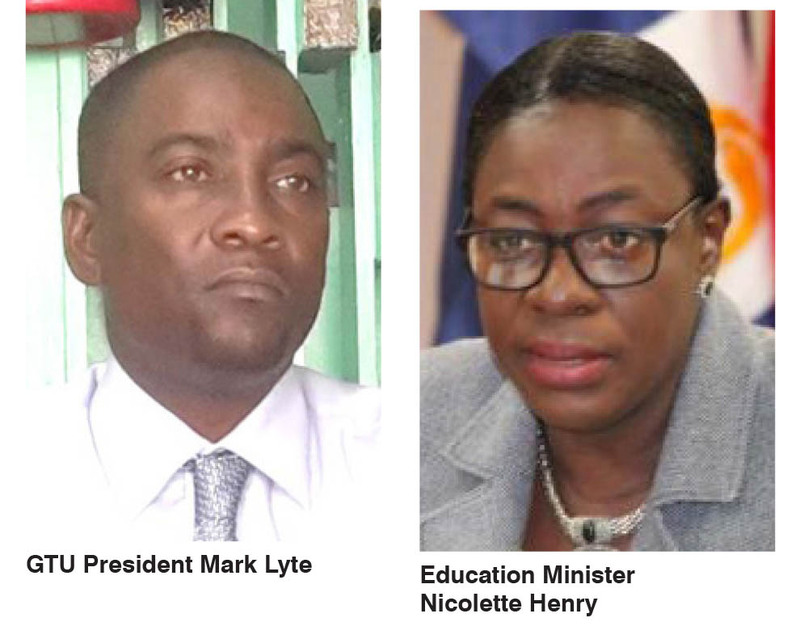 Last week, the GTU Executive met with Education Minister Nicolette Henry and Social Protection Minister Amna Ally, among other senior officials, to iron out issues surrounding the teachers’ salary increases. However, Government rejected the GTU proposal, resulting in the threat of industrial action. The Government was officially informed of the planned action; and the letter, in the name of GTU President Mark Lyte, was circulated to members on Monday. The letter stated that the decision was taken by the GTU on the insistence of its members to call strike action due to failed talks between them and MoE. 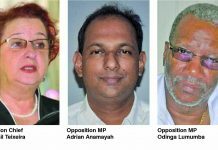 The Union views the counter-proposal tabled by MoE as an insult to the integrity of all teachers in Guyana. “We believe that enough patience was exhibited by the Union to allow MoE to arrive at a satisfactory proposal. Strike will officially commence on 27 August 2018, and will continue until further notice. GTU calls on all teachers to join in this justified action, since our rights are being infringed by our employer. 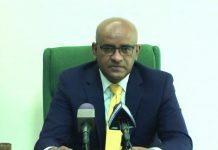 This decision is supported not only by General Council, but our private opinion poll among teachers and civic-minded persons across Guyana indicates that teachers nationwide have full support for this action,” the letter stated. The union asked its member to not report for work from the commencement of pre-term activities until further notice, and not to listen to threats which will come from high offices. Additionally, Head Teachers are urged to begin handing over the school’s key to the respective Education Departments. 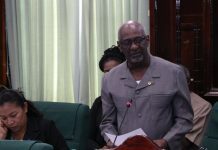 “Teachers throughout the length and breadth of Guyana are asked to support this justified action taken by your Union to ensure that an agreement is reached between MoE and GTU,” the letter concluded. The Guyana Teachers’ Union has been engaged in discussions with the Government since 2015, when their multi-year agreement came to an end. Late 2017, at the behest of President David Granger, they sat as a part of a high level task force to address the issue of teachers’ pay and working conditions. When Government met with the GTU on Thursday, they shot down all of the union’s proposal in regard to increase. The union had initially requested a 40 per cent increase in 2016; 45 per cent in 2017, and 50 per cent in 2018, 2019 and 2020. However, they compromised during the negotiation phase and agreed to accept a 40 percent to serve as a base from 2016 with 5 percent incremental increase for the remaining years. A number of requests from the GTU, including a long awaited retroactive increase in salaries across the board and increases in keeping with improved qualifications, were rejected by the Government at the meeting. The meeting featured Ministers Nicolette Henry and Amna Ally, as well as Junior Minister Keith Scott and GTU President Mark Lyte. 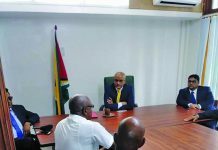 Their discussions related to the proposals from a joint task force that President David Granger had himself ordered into the teachers’ plight last year. Even though that task force had the input of Government, it was indicated to teachers on Thursday that a specialist would have to be contracted to determine the increases. In addition, the teachers were bluntly told that instead of the specific increases ranging from 40 per cent in 2016 to 50 per cent in 2020, a ball park figure would be used based on the current salary scale. When it comes to debunching payments, which is payment based on years of service, the GTU requested payments on the scales of, and retroactive from, the 2011 agreement. Instead, the Government proposed another ball park figure for the new school year of 2018 to 2019. A request for a $5,000 monthly emotional, stress and risk allowance was met by the Government urging a “holistic approach”. As such, the Government team stated that it cannot be considered at this time, taking into account the wider public service. A similar response met requests for mileage and maintenance allowances for top school officials. A request for all teachers to receive double pay in December had to be withdrawn.